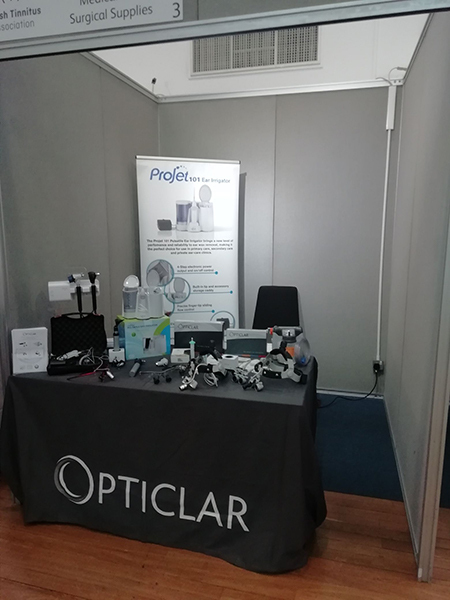 Albert Waeschle continue to focus on the different disciplines in the NHS to promote the benefits of the OPTICLAR brand and engage with professionals that use the products day to day. Audiology presents us with the opportunity to introduce two options for ear care – The Projet 101 Ear Syringe and Micro Suction via the handy, compact Vacu-Aide® suction pump. These two products continue to gain recognition as more and more procedures are carried out with these methods. These innovations are helping to grow our business in the Audiology market and backed with our friendly, helpful service and knowledge we can provide the advice end users need.